Is Cna Financial Corp (CNA) A Good Stock To Buy? The SEC requires hedge funds and wealthy investors with over a certain portfolio size to file a report that shows their positions at the end of every quarter. Even though it isn’t the intention, these filings level the playing field for ordinary investors. The latest round of 13F filings discloses the funds’ positions on September 30. We at Insider Monkey have compiled an extensive database of more than 700 of those successful funds and prominent investors’ filings. In this article, we analyze how these successful funds and prominent investors traded Cna Financial Corp (NYSE:CNA) based on those filings. Is Cna Financial Corp (NYSE:CNA) going to take off soon? Money managers are actually turning less bullish. The number of bullish hedge fund positions went down by 3 lately. 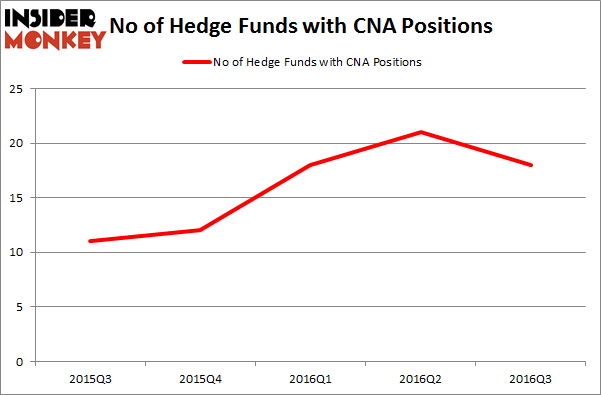 CNA was in 18 hedge funds’ portfolios at the end of the third quarter of 2016. There were 21 hedge funds in our database with CNA positions at the end of the previous quarter. 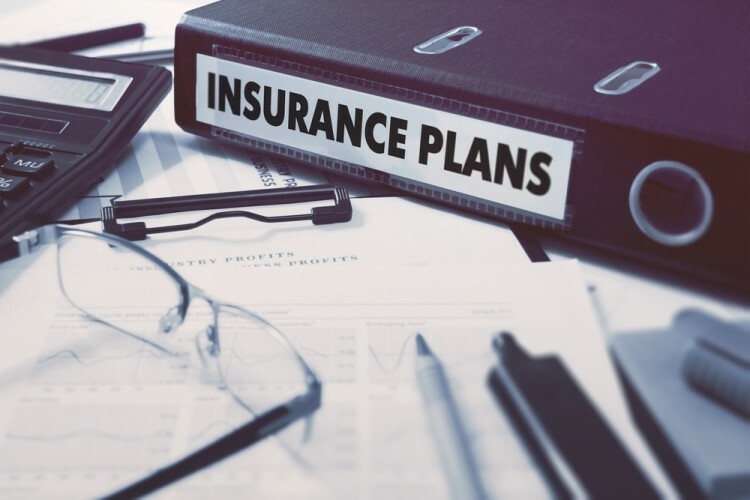 At the end of this article we will also compare CNA to other stocks including Alleghany Corporation (NYSE:Y), The Gap Inc. (NYSE:GPS), and Iron Mountain Incorporated (NYSE:IRM) to get a better sense of its popularity. What does the smart money think about Cna Financial Corp (NYSE:CNA)? At Q3’s end, a total of 18 of the hedge funds tracked by Insider Monkey held long positions in this stock, a fall of 14% from one quarter earlier. By comparison, 12 hedge funds held shares or bullish call options in CNA heading into this year. So, let’s check out which hedge funds were among the top holders of the stock and which hedge funds were making big moves. When looking at the institutional investors followed by Insider Monkey, Jim Simons’ Renaissance Technologies holds the biggest position in Cna Financial Corp (NYSE:CNA). Renaissance Technologies has a $28.9 million position in the stock. Sitting at the No. 2 spot is Pacifica Capital Investments led by Steve Leonard, holding a $13.2 million position; the fund has 7.1% of its 13F portfolio invested in the stock. Remaining members of the smart money with similar optimism encompass Israel Englander’s Millennium Management, Paul Marshall and Ian Wace’s Marshall Wace LLP and Roger Ibbotson’s Zebra Capital Management. We should note that none of these hedge funds are among our list of the 100 best performing hedge funds which is based on the performance of their 13F long positions in non-microcap stocks. How Big Lots, Inc. (BIG) Stacks Up To Its Peers Should You Buy BJ’s Restaurants, Inc. (BJRI)? Infosys Ltd ADR (INFY): Are Hedge Funds Right About This Stock? Has Hedge Fund Ownership in Welltower Inc. (HCN) Finally Bottomed Out? Biotech Movers: Heat Biologics Inc (HTBX) And Achaogen Inc (AKAO) Is WebMD Health Corp. (WBMD) A Good Stock To Buy?